National Cybersecurity Awareness Month(NCSAM) is commemorating its 15th year as an annual initiative to raise awareness about the importance of cybersecurity. NCSAM 2018 is a collaborative effort between government and industry to ensure every American has the resources they need to stay safer and more secure online while increasing the resiliency of the Nation during cyber-threats. A national public awareness campaign aimed at increasing the understanding of cyber threats and empowering the American public to be safer and more secure online. 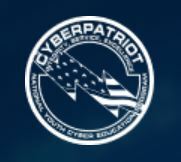 National Integrated Cyber Education Research Center (NICERC) focuses on STEM Curriculum design, Computer Science Curriculum design, Cyber Curriculum design, professional development, and collaboration in K-12 education.